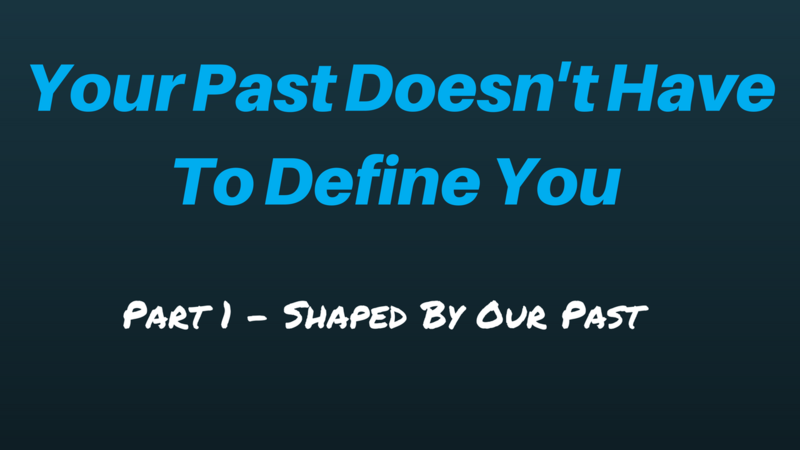 So far in this series, I've shared how many of us are shaped by our past experiences and how that can define who we are today (Part 1). I've also talked about how we have the power of choice to move on from those experiences to no longer allow them to negatively influence who we are and who we can become (Part 2). In Part 3, I discussed how the concept of our comfort zone is not our friend, at least not if we want something different in our lives and to grow beyond our current limitations. So far in this series, I've shared how many of us are shaped by our past experiences and how that can define who we are today (Part 1). I've also talked about how we have the power of choice to move on from those experiences to no longer allow them to negatively influence who we are and who we can become (Part 2). 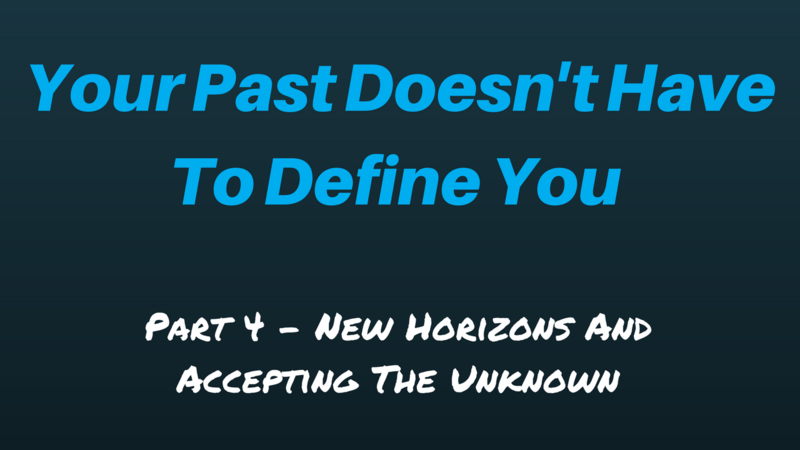 In part 1 of this series I talked about how the past can shape us and shared some of my story about how my experience in school negatively impacted me and how I viewed myself because of it. Be sure to go back and read part 1 to more fully understand what I write here. 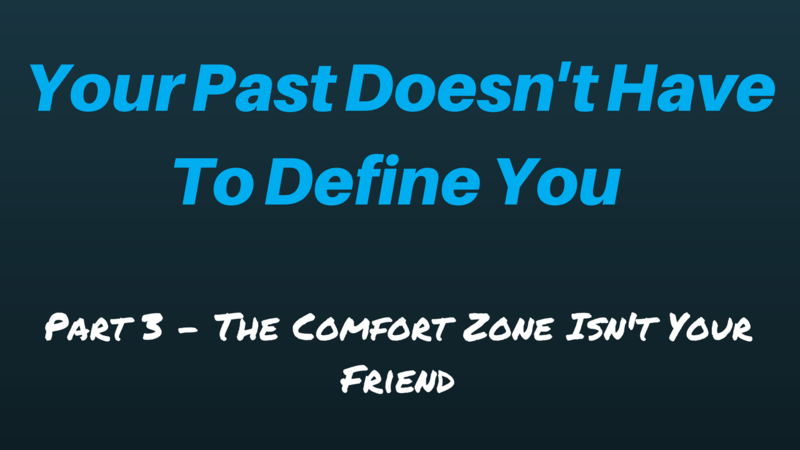 So, what if our past doesn't have to define us in the present and into the future? 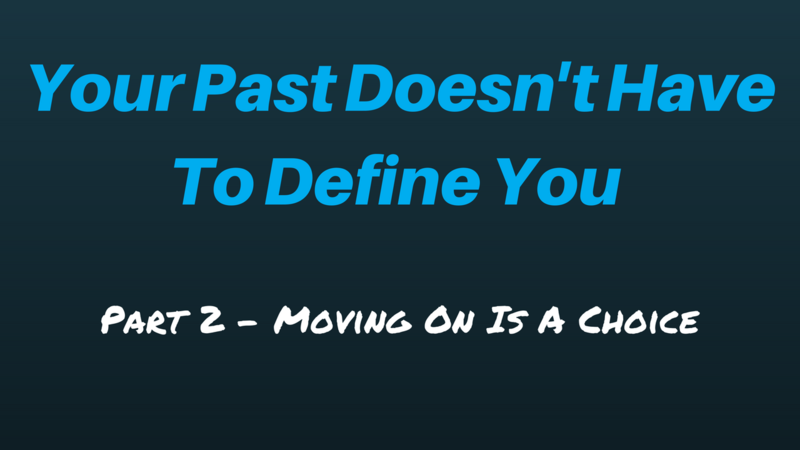 What if the impact of our negative past experiences could be different? What if you and I could change how that experience influences who we are and what we do? Today I address those questions and will share how I got from where I was to where I am. Almost all, if not all, of us have had experiences that negatively impacted our lives. For many those experiences, whether they area a single event or a series of occurrences, become defining moments that shape our personality. These experiences may not only play a part in shaping who we are, but sometimes our lives from that point forward become defined by that moment or experience.